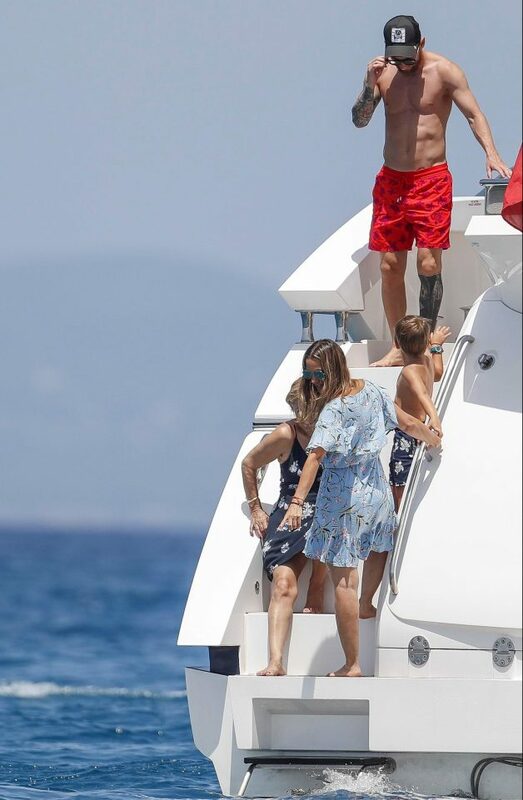 Argentine star, Lionel Messi who had a disappointing outing at the 2018 World Cup, was seen sunbathing on a luxury yacht with wife Antonella Roccuzzo and friends in Ibiza. 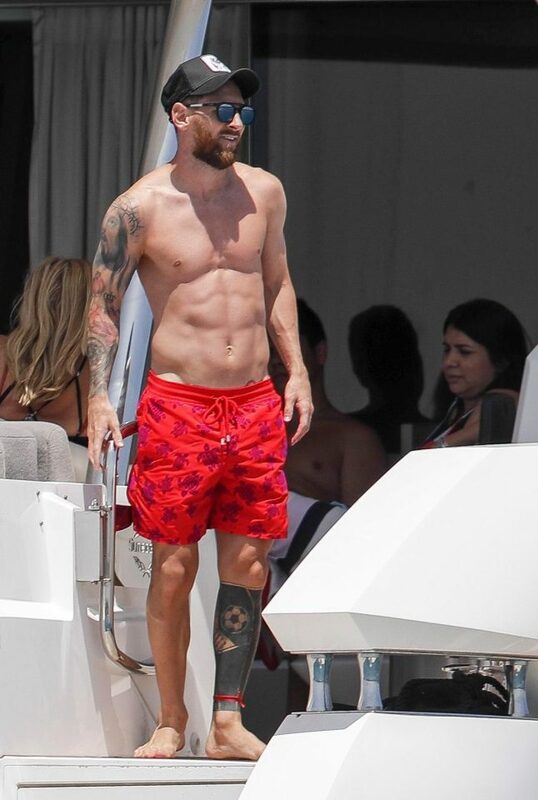 The Barcelona superstar has little chance to unwind before pre-season training – after muted displays in Russia by both himself and Argentina. 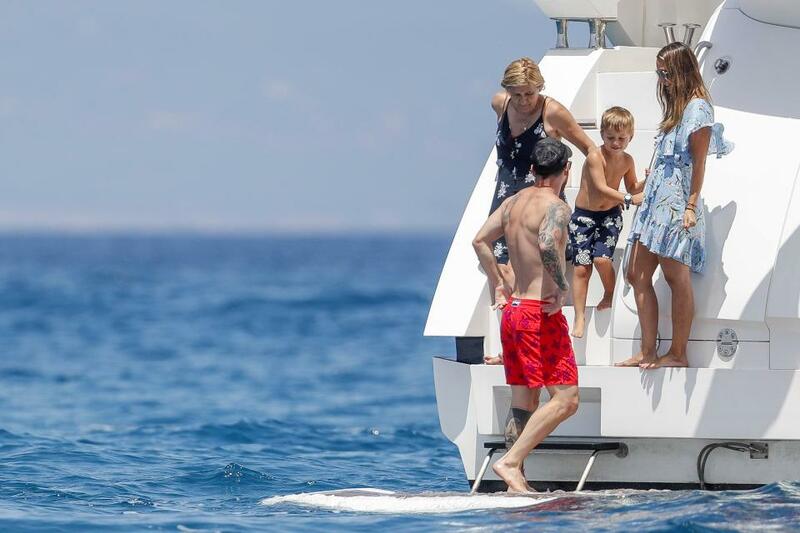 And the 31-year-old took full advantage of the brief vacation with model Antonella, 30, who he first met aged 13. Messi was confirmed as the world’s top-earning footballer with £83.81m – second in sport only to Floyd Mayweather’s amazing haul of £207.6m.